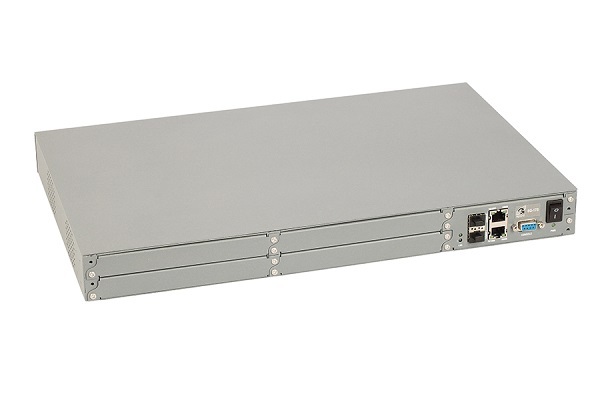 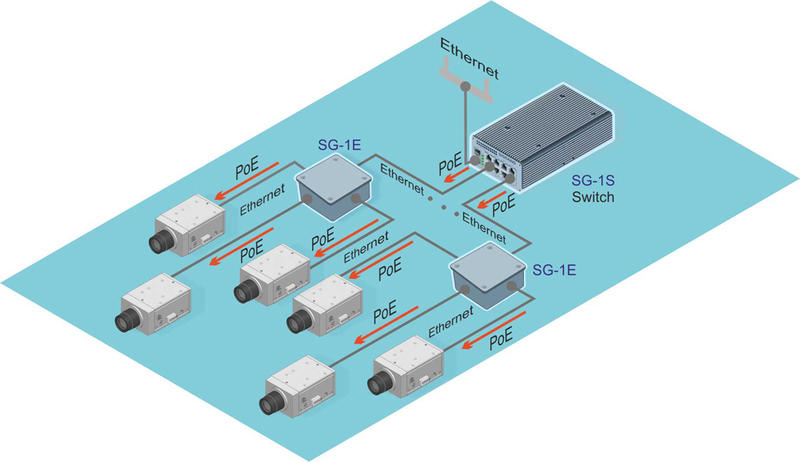 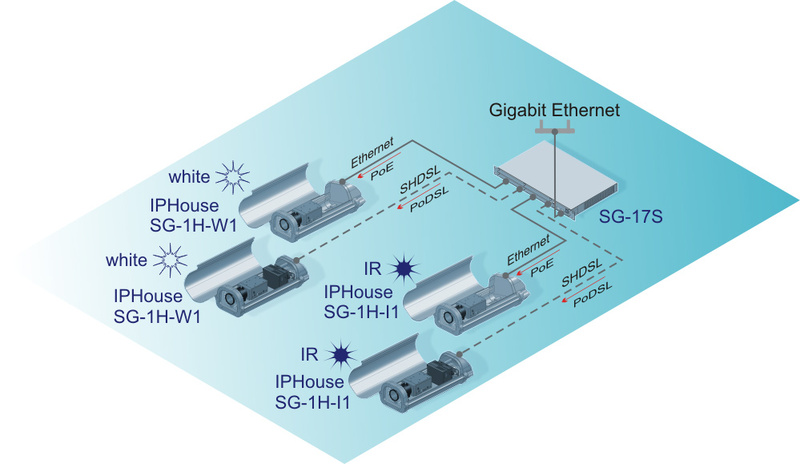 Housings SG-1H-W1 and SG-1H-I1 are connected to MS-17E8PP modules of SG-17S switch. 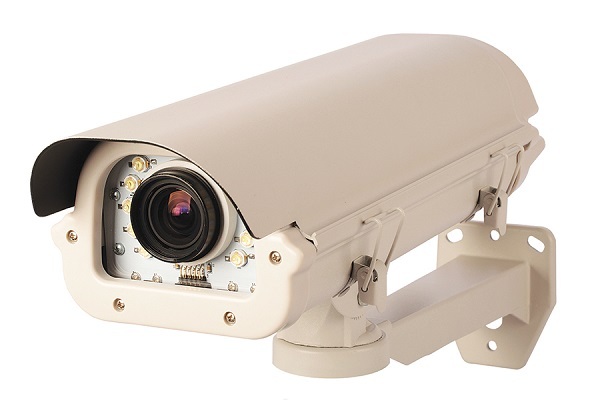 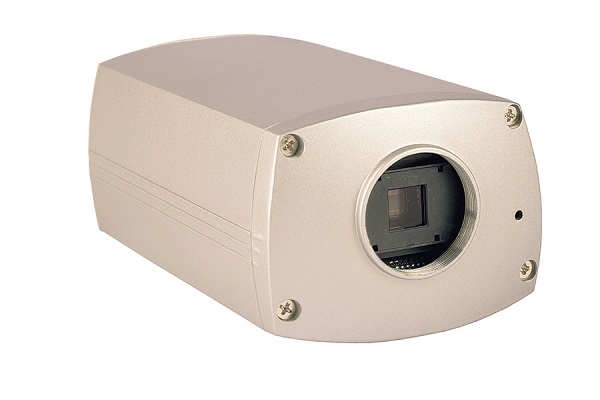 The camera, housing and lighting are powered via PoE interface, maximum power up to 15.4 W for all. 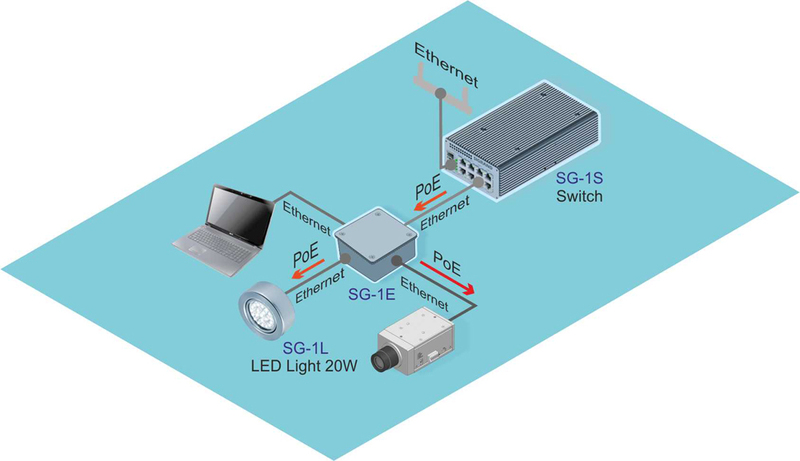 If needed long distance connection, the modem SG-17B-261 can installed inside the housing and get the power from MS-17H4P2 module via PoDSL technology.